6 Steps to Ignite Profitable Growth and Move Your Business Forward! Wouldn’t you like to see your business experience exploding profits and positive growth? I am Dr. Ann Gatty. I experienced my own challenges growing my business from brainstorm to over six figures! From my lessons learned, I developed this tool to re-ignite my business and get my business moving forward again. Now I am sharing with you!! 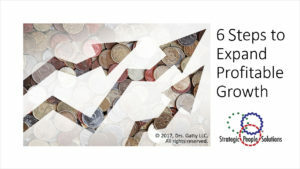 With the 6 Steps to Expand Profitable Growth you create a quick and easy strategy to ignite your profits. Provide your name and email to receive the FREE 6 Steps to Expand Profitable Growth today! Let’s build your business to work brilliantly! The insights from this tool will be amazing!